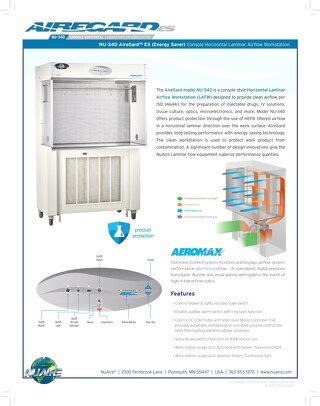 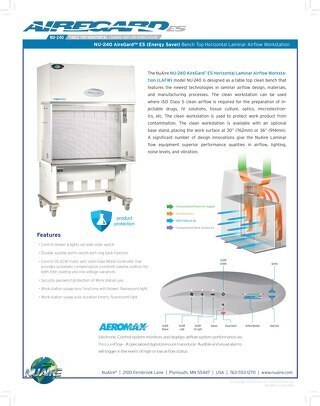 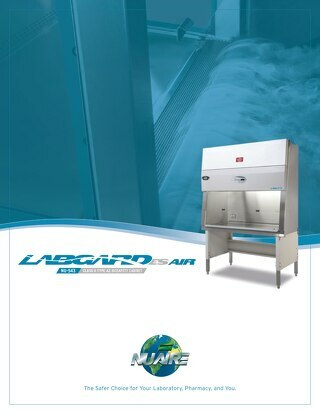 AireGard bench top style model NU-240 Horizontal Laminar Airflow Workstation (LAFW) product flyer. 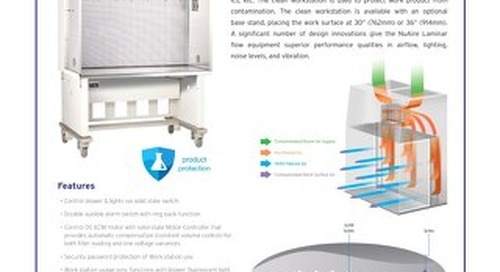 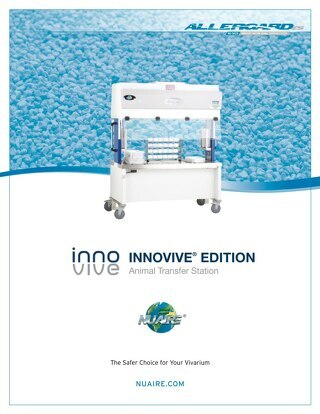 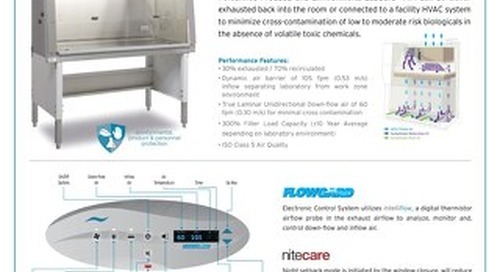 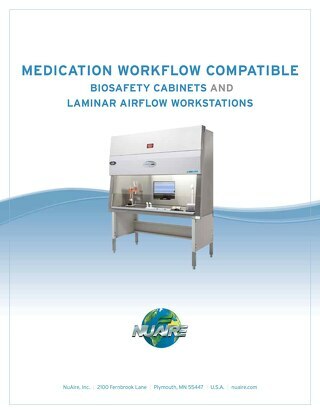 Product flyer for console-style Laminar Airflow Workstation (LAFW) model NU-340 from NuAire Lab Equipment. 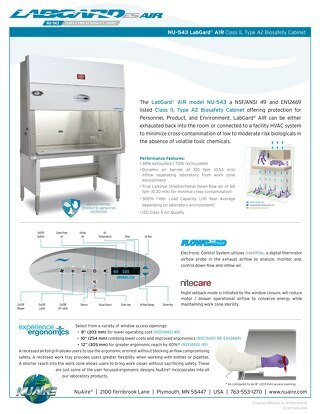 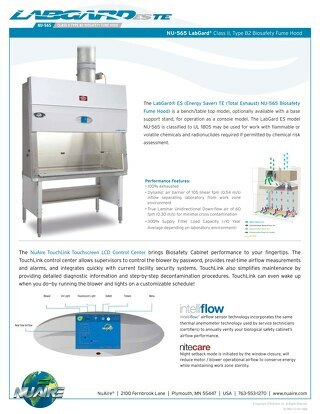 Learn more about the LabGard Class II, Type B2 Biosafety Fume Hood model NU-565. 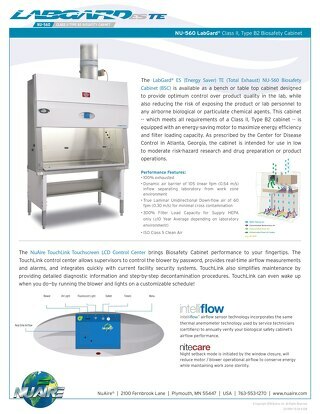 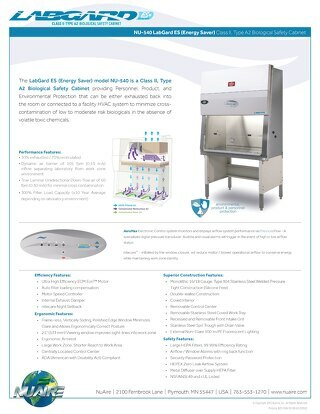 Learn more about the Total Exhaust LabGard Class II, Type B2 Biosafety Cabinet (BSC) model NU-560. 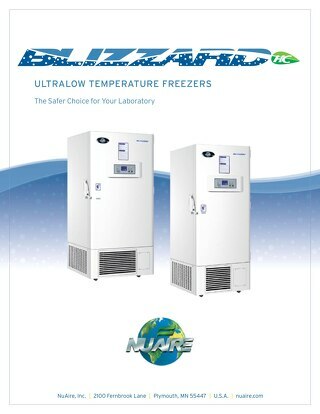 Blizzard -80°C Ultralow Temperature Freezers (ULT) Brochure manufactured by NuAire Lab Equipment. 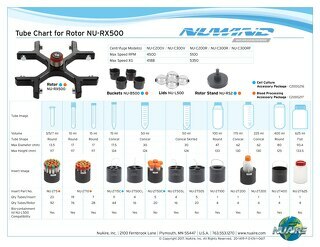 Find the perfect insert for your general purpose centrifuge from NuAire with this tube chart highlighting dimensions, capacities, and more. 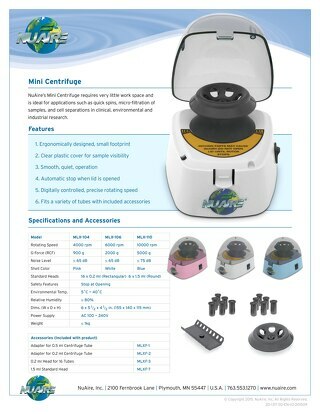 Mini Microcentrifuges from NuAire Laboratory Equipment are available in three different models all at varying maximum speeds. 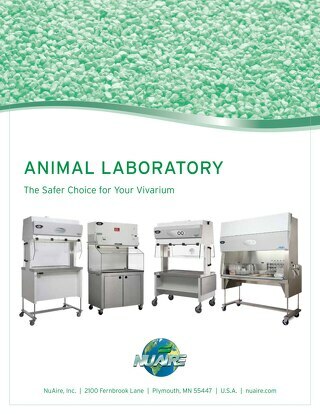 NuAire Laboratory Equipment is the safer choice for your lab. 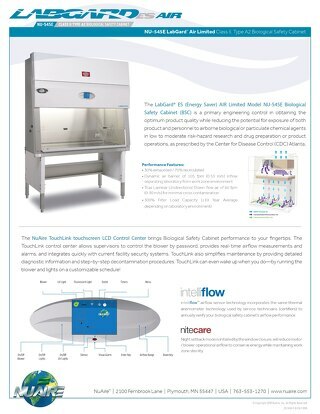 View NuAire's core line of research products with this line card. 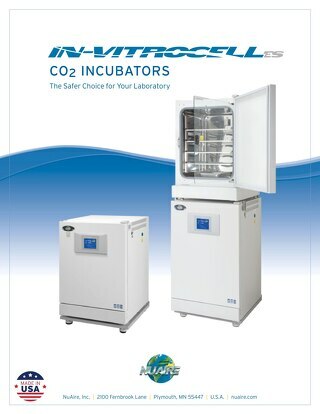 In-VitroCell CO2 Incubators from NuAire provide optimal growth conditions for your cells. 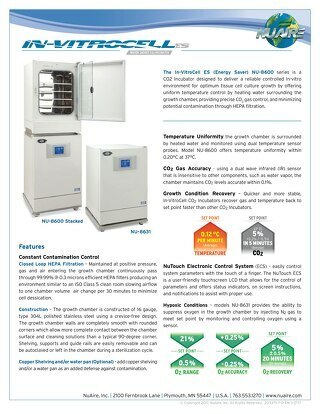 Available in direct heat and water jacket with popular upgrades such as O2 control, RH Control, and more. 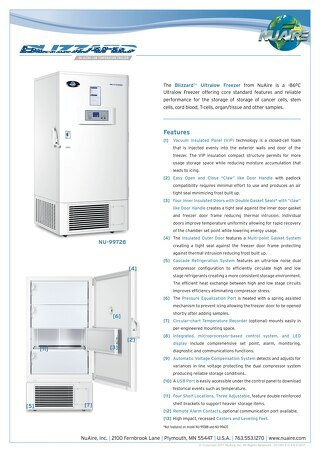 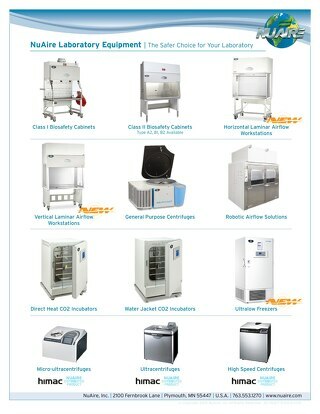 Blizzard is a product line of laboratory ultralow temperature freezers offering reliable cryopreservation of cells.